A gooey fudge brownie and a glass of cold milk – one of life’s greatest pleasures! A fudge brownie is a delight best served cold, especially in the summer. Chill these rich chocolatey indulgences for a few hours for a surprise dessert for your family. 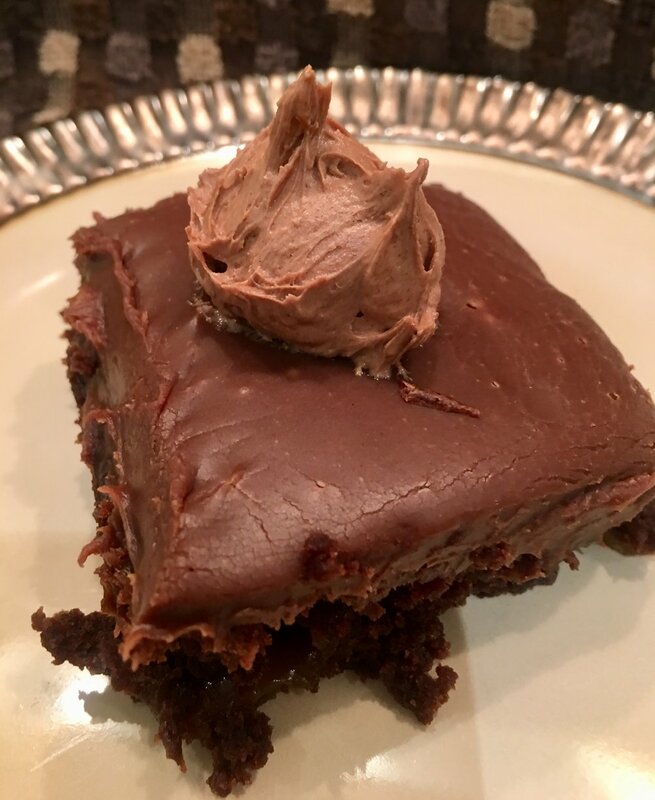 These brownies are quick to make and the fudge frosting is prepared in a jiffy. Just allow some cooling time for easy spreading. Combine butter and sugar in a small saucepan and heat on low until butter is melted and combined with sugar. Add eggs and vanilla to melted butter and sugar. Stir until combined. Mix in flour, baking powder and salt. Spoon batter into pan evenly. Bake for approximately 30 minutes until toothpick inserted about an inch from corners comes out clean. Do not over bake. Combine chocolate chips, sweetened condensed milk and butter in a medium saucepan and stir until all ingredients are melted and combined. Cool in fridge stirring occasionally so frosting doesn’t set. When thick enough spread over brownies. You can reserve a bit to whip for a dollop of creamy fudge or use chocolate whipped cream. Serve with caramel on the side.